A recent study projects the air filtration market to continue growing and obtain a market size of $7.12 billion by 2022. The report, compiled by Global Market Insights, Inc., cited a few factors that will contribute to even further growth in the market. And it’s not just the U.S. where industrial air filters are expected to be leaned upon. Globally, air filtration systems will become more relied upon over the course of the next six years. In the U.S. alone, the industrial air filtration market could grow to be worth a total of about $1.4 billion over the next four years. Global Market Insights stated the industrial demand and investment and an increase in environmental awareness will help drive the growth of air filtration systems. These investments will also come about as the result of a growing list of regulations companies and building managers will have to abide by. As air systems draw in more awareness, industries will need to turn toward reliable companies to provide top-of-the-line and efficient air filters, HVAC systems and more. The U.S. Environmental Protection Agency has various resources to help different industries to help meet the highest air quality standards, no matter the building type. For instance, air quality is critical in schools. When healthy learning environments are present, students are more inclined to show up to class and do better on tests and other classwork. Additionally, teachers and staff are also affected by cleaner air. According to the EPA, air pollutants are found to be significantly higher indoors than outside. Pollutants can be two to five times more prevalent inside, which the organization said was a cause for concern because most individuals spend nearly their entire day inside. In order to maintain the indoor air quality of a building, maintenance personnel need to ensure outdoor air is brought inside after being properly filtered, controlling humidity and temperature and controlling pollutants. The EPA, along with the Science Advisory Board, said indoor air quality is one of the top five environmental risks to public health. 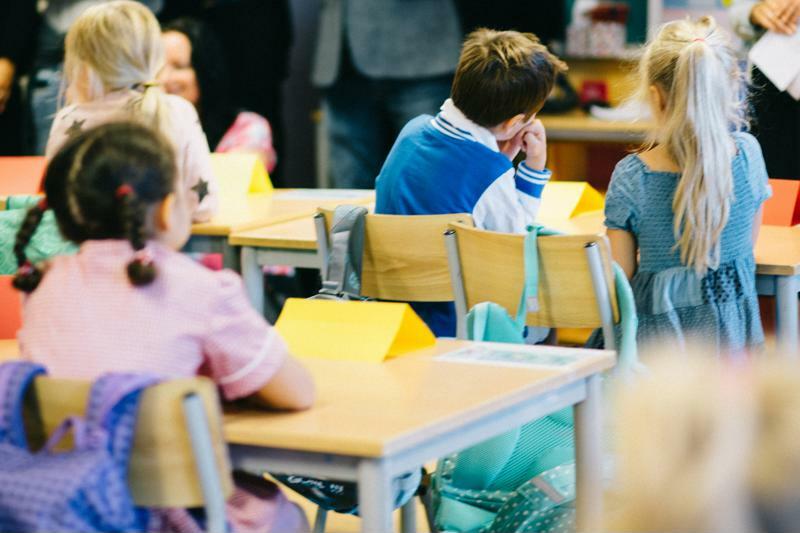 Poor air quality has been shown to affect students and staff in a school, especially since approximately one out of every 13 children has asthma, which can be triggered and made worse because of dust, molds and more. An overabundance of pollutants has a negative effect on children and teachers. Air quality issues may typically be found in older buildings, and the EPA stated that in 2014, the average age of a school was 55 years old. Since construction would have been completed in 1959, one-fourth of schools need repairs or the the total replacement of HVAC and filter systems. Air quality is important to help students excel in the classroom. Education is not the only area where air filtration systems will make an impact. Offices and other large buildings will also need to be outfitted with the necessary systems. The typical office might not involve the release of toxic fumes, workers are still at risk because many office buildings are not adequately ventilated. Ventilation is even more important for industries where workers are constantly exposed to harmful particles and higher levels of air pollution. Wood shops, laser cutting facilities and even laboratories all need sophisticated levels of ventilation to protect workers. Over time, even the smallest amount of particles can cause damage to an individual’s respiratory system. Even though the industrial air filtration market will grow significantly by 2022, companies can’t simply utilize any piece of equipment and deem it suitable. Instead, guidelines put forth by the American Society of Heating, Refrigerating and Air Conditioning Engineers should be followed. The guide will help design engineers, architects and contractors understand how to best implement air ventilation and filtration systems in commercial and industrial buildings. Companies and schools can’t wait when it comes to ensuring air quality is maintained at a high, safe and clean level. Poor indoor air quality can have an adverse effect on the performance of teachers, students and workers, while also contributing to health issues. Regulations and changing mindsets toward safety standards will all contribute to the growth of the air filtration market by 2022. HEPA filters in particular are expected to grow faster than average, according to the study from Global Market Insights. To ensure the best possible air filtration systems and HEPA filters are used, contact Air Impurities Removal Systems today to learn more.